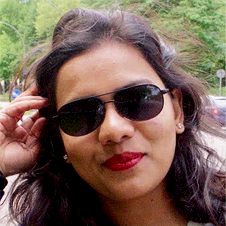 The Travis CI Blog: Welcome Aakriti! We’re super thrilled that Aakriti is joining our product team to help make our backend apps more awesome! Even though Aakriti is an aspiring mermaid, she is also a pro at the non-watery arts of travelling via the TARDIS. The travelling doesn’t stop there though; she is also living the vegetarian life while visiting the countries of Europe. When not physically moving, Aakriti is moving through space in her daydreams, fixing her spacecraft in flight. You can follow Aakriti as @aakri_tea on Twitter.